Genre mashups and Rogue-likes are nothing uncommon currently. In fact, it’s almost become a challenge to find a genre that doesn’t mix with the harsh die/ restart with previous unlocks loop in some way. This has been explored in several ways; Hybrid platformer/ RPGs like Rogue Legacy come to mind, FPS’s have been catered for also, albeit badly with the likes of Paranautical Activity and we have even seen Rhythm action, with the sublime Crypt of the Necrodancer. Rarely however, do we see a genre mash like Genesis Alpha One, an incredibly ambitious title from fledgling developers Radiation Blue. 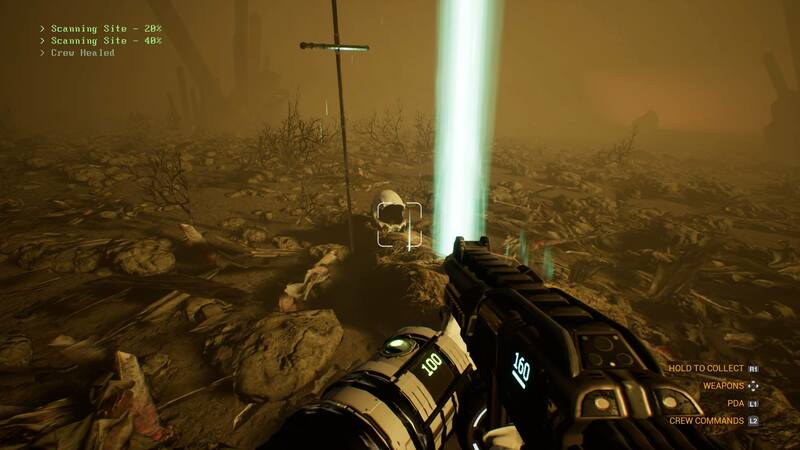 Genesis Alpha One tackles an idea that I have wanted to see in a game for a long time but had never even considered the possibility of it coming to fruition. Humanity and Earth is all but decimated and the last remnants of the human DNA strand resides within the confines of your ship. It is your job to search the universe and find a habitable ecosystem to find a planet that is capable of sustain a future for mankind. The immediacy of this simple plot is something that resonates clearly throughout the game. It brings reason to your endeavours and provides something that games like No Mans Sky never had, a tangible goal, while also giving me the impression that the stakes were high throughout my time among the stars. As the captain of the ship, it is your job to manage its design and ecosystem, while also being mindful of resources to keep your crew of clones (more on that later) happy, fed and most importantly alive. None of these three things are easy, as every method in which you can gain resources is fraught with danger in some way. For example, as a basic means of gaining resources for ship builds and ammunition, you are tasked with constructing a tractor beam which will allow you to scan and bring in supplies that are floating in space on chunks of spaceship debris. The only issue is that you can inadvertently bring aboard deadly alien life that are not only an immediate threat, but one that can become even bigger if left unchecked, thanks to them nesting in the underbelly of the ship. Neglecting your crew for long periods of time, leaving them without quarters or exposing them to aliens for too long can cause them to be sick, creating starting points for diseases which can spread among your ship as another example. What I love about Genesis Alpha One however, is how you can turn any of these negative consequences into a positive by exploiting the results of the encounters. 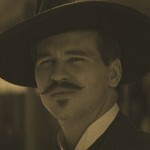 To take the diseases as an example, you can research these to work on immunities for the illness in future. Invading aliens can also be turned into a viable factory for biomass, which is a necessary resource for keeping both your health topped up, but also to keep your ship well stocked on clones, who are not only shipmates that keep the ship intact through menial labour but also act as your extra lives in the event of player death. Clones are one of the most important aspects of your ship for the reason above, but also as they can provide additional benefits throughout the game. As you collect biomass from fallen foes, you can sometimes encounter DNA strands. When you collect enough of these you are then able to mix the DNA of an alien creature with the human DNA you have on board the ship. This allows you to create a colourful cavalcade of crew members that each have their own defining attributes. For example, some of these can operate refinery machines easier, allowing for a quicker work through of the materials you stow in your harvester ship, some are more combat efficient, making defence and planetary excursions easier. The true route to success in Genesis Alpha One is to ensure you have the right crew doing the right professions to improve the effiency of your ship. 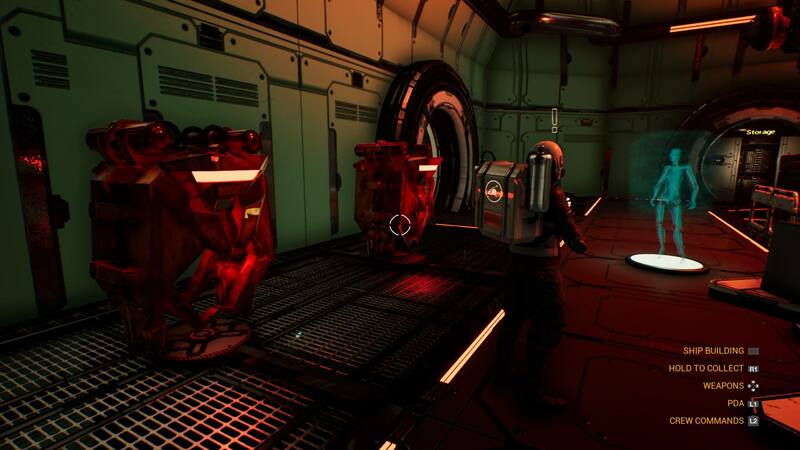 Regarding your ship, the building interface is an intuitive and easy to learn system that sees you earning modules, from greenhouses to crew quarters to workshops and storage facilities. The real draw here is managing both your resources and energy reserves to ensure that you do not over build, resulting in power loss or damaged ship components, there is a real fun aspect to creating a ship that not only is efficient to traverse, but one that is also defensible in case of a ship invasion or disease outbreak. 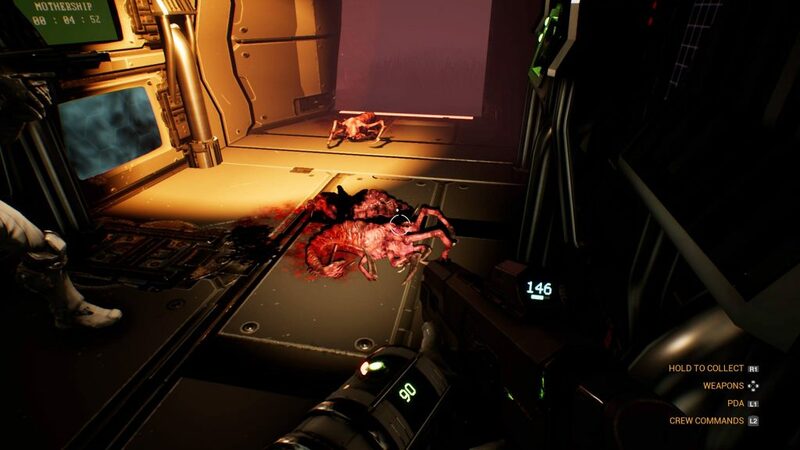 Under each of the corridors or room modules is a crawl space that can be habited by alien species that stowaway on your vessel. So, it is important that you keep these crawl spaces clear from alien life, or else you run the risk of the creatures attacking power modules that keep the vital corridors and modules powered. Losing these is potentially devastating if you have crew habiting the area and can result in a catastrophic fault with the ship if the damage reaches the bridge. Of course also, you will want to make sure that your ship is simple enough to work out from a first person perspective too, as an unintuitive layout can make the difference between your crew being murdered or you coming to save the day in the nick of time. Collecting resources, protecting and building your ship is only a small part of the package. There is an incredibly deep suite of options regarding what you can do as a player and it’s genuinely surprising to see how this all pans out in real time. As the captain, you can be as hands on or off as you like. 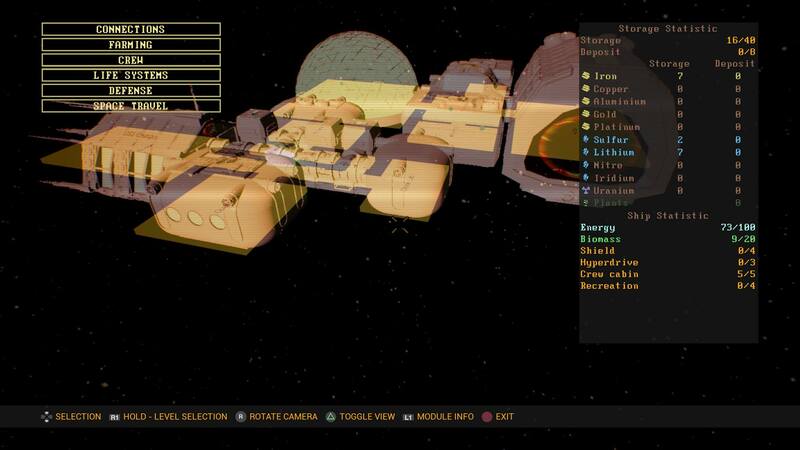 Within each ship module you can set your clones to autonomously perform jobs, such as manning the tractor beam, maintaining your greenhouse to keep the plants and o2 levels in check and building robots to carry gathered resource from one end of the ship to the other. It is completely up to you whether you want to much in and tap away at terminals to increase the speed of gathering, defending the ship from hostile invaders or taking a landing craft down to planets to gather resources/intel. It is entirely possible to set most areas up to never need your attention in anything less than an emergency. Of course, things don’t always work out as well as this if you completely leave the crew to their own devices, as I found out the hard way when I checked the crawl space of the tractor beam room, only to discover a burgeoning nest of hostile crab aliens that wanted nothing more than to munch on power modules and my face. It’s also possible in Genesis Alpha One to visit alien worlds yourself or with crew members. Each planet is rendered randomly, with the only indication of its population being the resource scan that you have on the ship and a loose indicator which suggests how safe the world is. This may seem somewhat underwhelming at first to those who played No Mans Sky, but there isn’t an awful lot to explore when you touch down. The main purpose of landing yourself is to find crashed ships, artefacts and weaponry that have been discarded by deceased or lost spacefaring individuals. These act as your main unlocks, along with DNA strands that you can gain from shooting the local wildlife, all of which help you create human/ alien hybrid clones that have different attributes which can help or hinder your progress. While it can get a bit monotonous running through alien landscapes with little to do than the odd scavenger hunt, it does make sense why this is the case considering the already existing complexity in the game. There are also times in which some things happen on planets that take you by surprise that make the whole endeavour worth it beyond simple resources and trinkets. At one point I landed on a stark red planet with an abundance of head height fauna, as I approached a crashed ship, a sea of blue humanoid figures came rushing towards me with laser fire shooting from their rifles, what resulted was my two clone crewmates being instantly butchered as I rushed back to the ship. Before this point, the most alien life I had encountered were the previously mentioned bug types, these holographic men were on another level and showcase just how harsh and unexpected such moments in the game can be. Creating player made stories in a randomly generated universe is quite difficult, but Genesis Alpha One delivers this beautifully. There are so many variables to keep on top of and discover as you play that it is genuinely mind boggling as to how a three-man team could have pulled such a feat off. The game may not win awards in terms of presentation with its grainy pulp sci-fi visual style or its gun feel, but the sheer fact that this all comes together with only minor bugs and annoyances is nothing short of impressive. 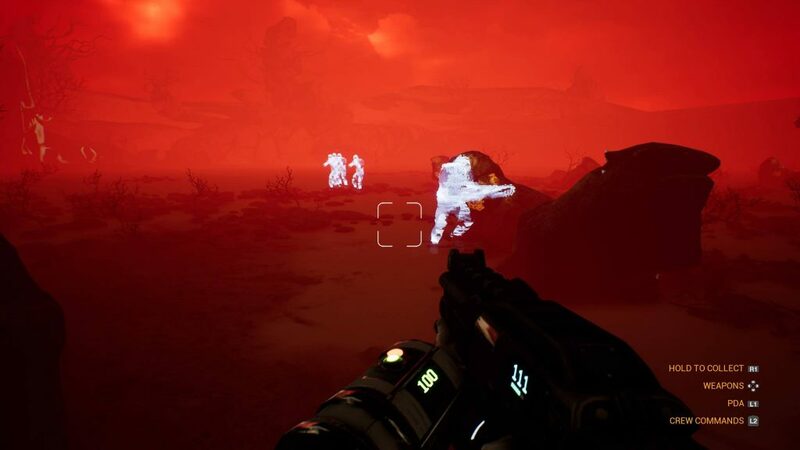 Genesis Alpha One is one of the few survival titles that blends a real sense of high-stakes urgency while also juggling several gameplay styles in the process. Even though this may seem unwieldy on paper and fraught with challenges in gameplay structure and technical aspects, Radiation Blue have managed to marry together FPS, management sim, RTS and roguelikes into a unique and compelling experience. Been playing this on the Xbox and really loving it. Genuinely baffling why no one is taking about it, it’s a great wee game. I think probably the price being a touch too high and the decision to make it only available on the epic store for PC maybe has something to do with it. I think we might see a bit more buzz when it hits steam as the gameplay is definitely fun. We can only hope! It’s a dream concept for me, i can only hope that it gathers more steam for refinements in the future.